The Galerie Plan close coupled toilet features a modern design that brings great style to any contemporary bathroom setting. The cistern uses a dual flush 6 or 4 litres and comes complete with a chrome flush button and cistern fittings. 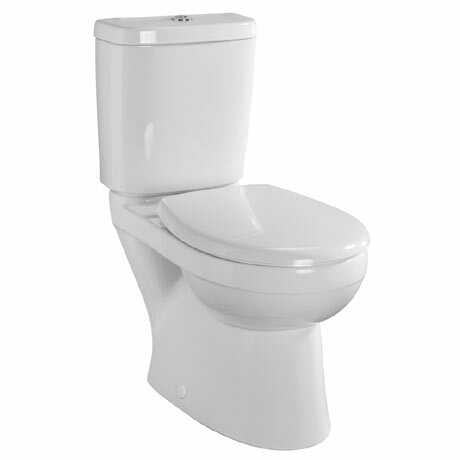 Manufactured from vitreous china, this toilet can be used in residential and hotel applications. Comes complete with a choice of standard or soft close seat. Dimensions: (W)362 x (D)680 x (H)820mm approx.